This post is a look at car traffic volume changes in the Waikato going to and from Tauranga, using data from NZTA’s State Highway Traffic Data Booklet on Annual traffic counts. Now my disclaimer: The Data Booklets give data as totals and percentages of vehicles over 3.5T, known as Heavy Motor Vehicles (HMV). 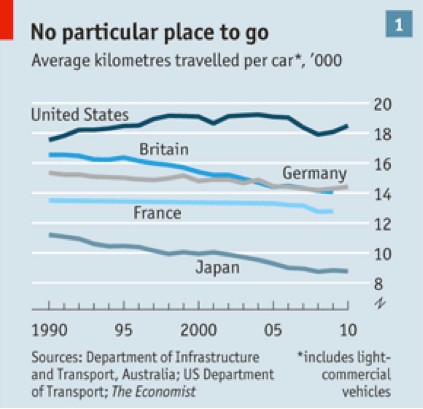 The data in this post is presented as cars per day first, and most of the data is not Copy & Paste – more read and type. So if you see something that looks out of place please leave a comment. 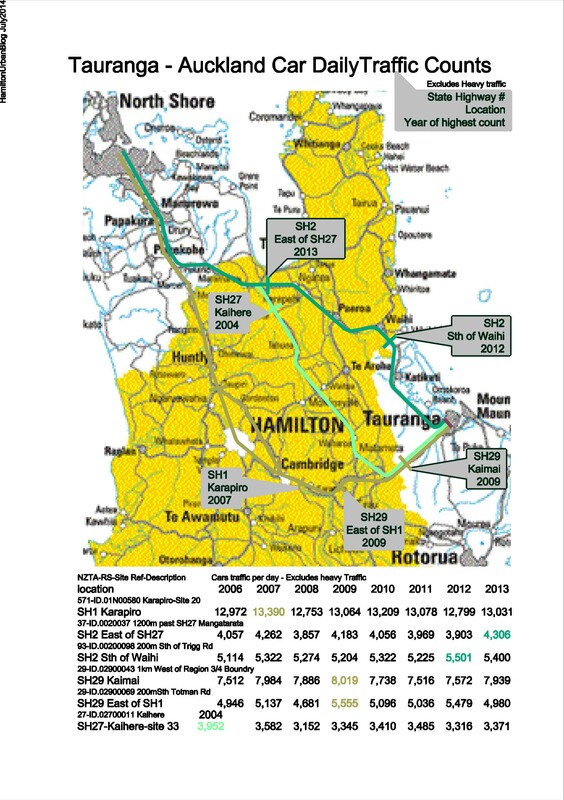 Looking more at traffic coming from Tauranga, we see real change in the number of cars using SH27, where car traffic has plateaued to below 2004 levels and the SH29 Kaimai-SH1 route past or through Hamilton shows nominal daily car traffic leveling off about 5 years ago. The route that is showing growth is SH2, which is also the fast route to Auckland. The information that people in Hamilton need to note is the reduction in people travelling to and from Tauranga to meet, socialise, share ideas and grow together.